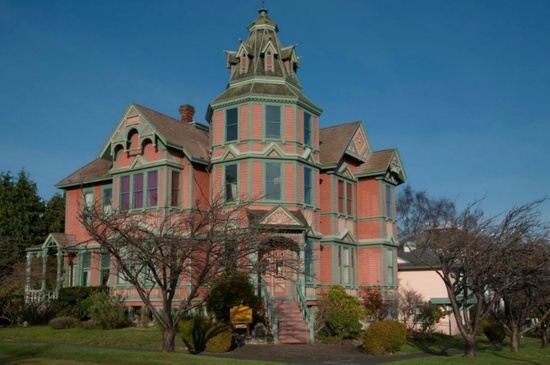 Overlooking Puget Sound, the Queen Anne-style Anna Starrett Mansion is allegedly haunted by a red-headed female ghost. One of the former inn-keepers was walking toward the house and saw a red-headed woman in the tower but she knew she had locked the house. According to the story she only saw the bust and head of the woman which is strange because the tower window is full length. There have also been reports of a male entity and a "nanny"-like specter roaming the halls. Built in 1899 by contractor George E Starett for his wife the home features an octahedral dome atop the tower which doubles as a solar calendar. In recent years the property was a bed and breakfast as well as a boutique hotel. As the listing states "frecos of angelic maidens painted in Ann's image will enchant you..." or haunt you. 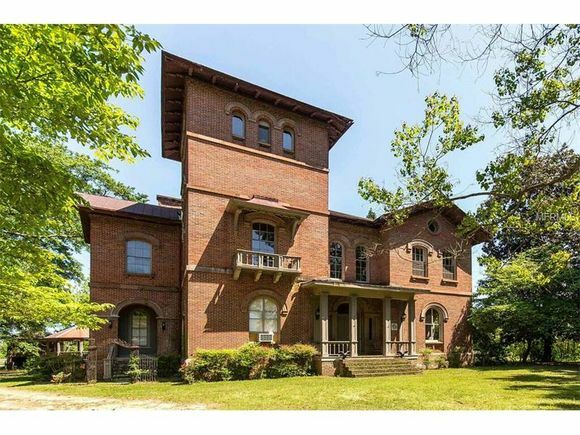 Now home to a horse farm, Kenworthy Hall is an Italian-style villa supposedly haunted by a female spectre in the tower room on the fourth floor. Edward Kenworthy Carlisle, a wealthy cotton broker and planter, commissioned the architect Richard Upjohn to design the home in 1858. The Kenworthy hall has changed hands many times and was vacant for much of the 1950's. During the various times it was empty, locals began to believe that it was haunted. The story goes that during the Civil War, Edward Carlisle's daughter, Anne, was in love with a Confederate soldier. When she heard of his death she lept from the tower winded. Now, several passers-by have seen her in that same tower room on the fourth floor mourning her dead love. Many people have purchased the home with the intention of restoring it. A family moved into the home in 1967 but they died shorty afterwards. Now, Kenworthy Hall is considered a National Historic Landmark as of 2004. 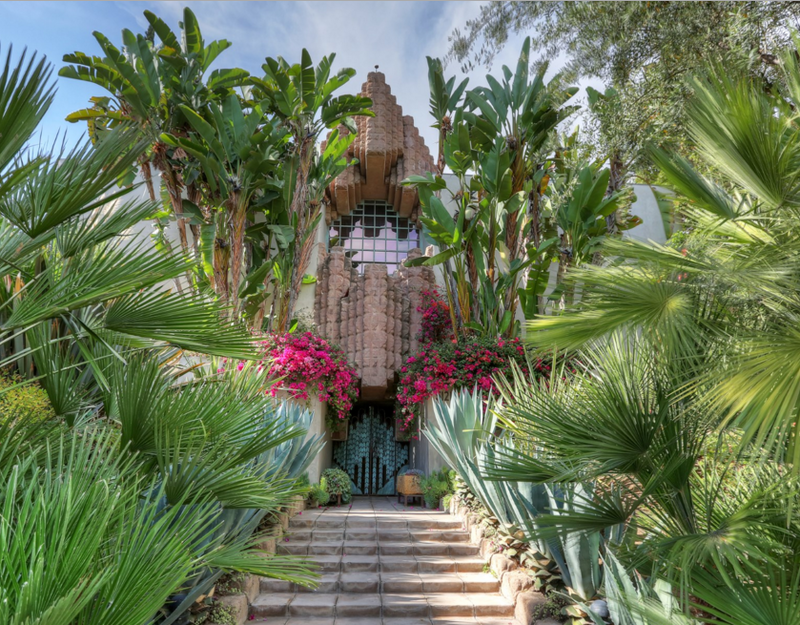 Built in 1926, this Mayan-Temple-esque was designed by architect Lloyd Wright for John Sowden. The home, located in Los Feliz, was later purchased by Dr. George Hodel. The John Sowden House was the site of the murder of Black Dahlia, aka Elizabeth Short, found surgically cut in half and dumped on a lot. Prime suspect Dr. George Hill Hodel fled the country. Hodel's son maintains that the slaying occurred inside the home. Past residents of the home have heard voices, footsteps, and the sound of heavy chains dragging. There have been sightings of apparitions that appear to be Hodel. The TV show Ghost Hunters featured the house on an episode, and they caught the apparition on video as well as an EVP that said "It's George." 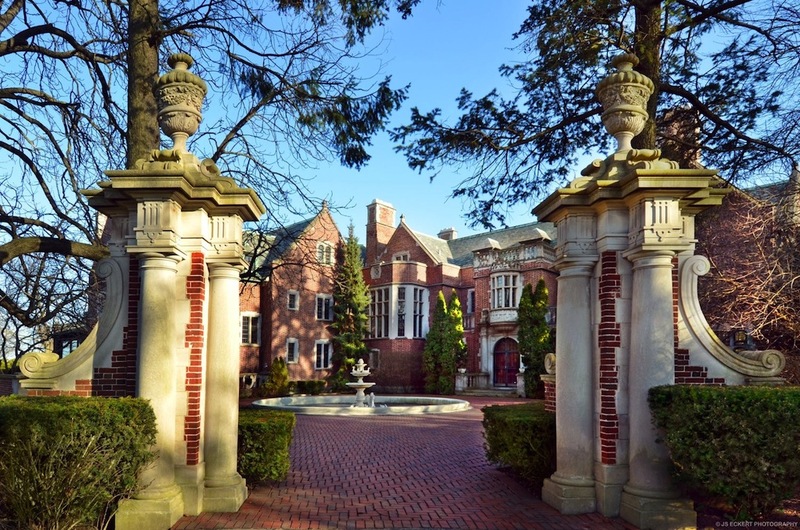 The Schweppe Estate, also known as the Mayflower Palace, is a beautiful English Tudor built in 1915 as a wedding gift to Marshall Field's heiress Laura Shedd and her husband Charles Schweppe (Schweppes carbonated drinks). In 1941, following the death of his wife, servants entered Charle's Schweppe's bedroom and found him dead from a self-inflicted gunshot wound. The only clue left by Charles as to the reason for his suicide was a note that read "I've been awake all night. It's terrible." Some theories on his suicide include his wife only leaving him $200,000 of her $10 million fortune or severe mental health issues manifested through insomnia. The spirit of Charles Schweppe will forever hold the secret. The property sat empty for more than 45 years following Schweppe's suicide and several accounts claim both Charles and Laura haunt the estate's bedrooms, and one master bedroom window has remained eerily free of dust, despite the age of the home.